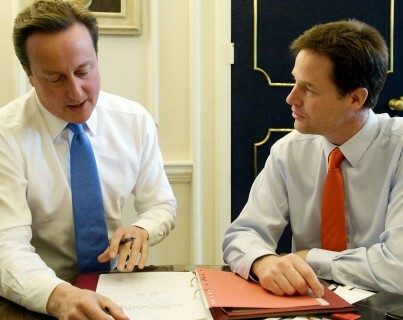 This website is the online version of The Coalition: our programme for government. It sets out a programme for partnership government over the next five years. These plans are inspired by the values of freedom, fairness and responsibility, and a shared desire to work in the national interest. Working together, we are confident that we can take the country through difficult times to better days ahead. We believe the programme can deliver radical, reforming government, a stronger society, a smaller state and power and responsibility in the hands of every citizen. Great change and real progress lie ahead. The website is now closed for comment. Many thanks to the thousands of you who have contributed by posting comments and giving us valuable feedback on the Coalition’s programme. We published over 9,500 comments and you can continue to read these on the site. Each department will respond on the comments that fall within their policy areas. They will focus on issues that raised the greatest level of comments, and they will consider all constructive ideas and suggestions when they’re developing policy in future. There will also be a video message from senior ministers by the end of July, in which they will deal specifically with many of the points raised by the public. We’ll post the details on this homepage as soon as possible. The Government is committed to engaging and collaborating with people online. You’re invited to have your say on how you think we can reshape how government works and cut public spending. We want your ideas and comments on the Spending Challenge. You can also take part in Your Freedom – and tell us which laws and regulations you want to see repealed. And other departments will be launching more online forums for you to contribute to soon.